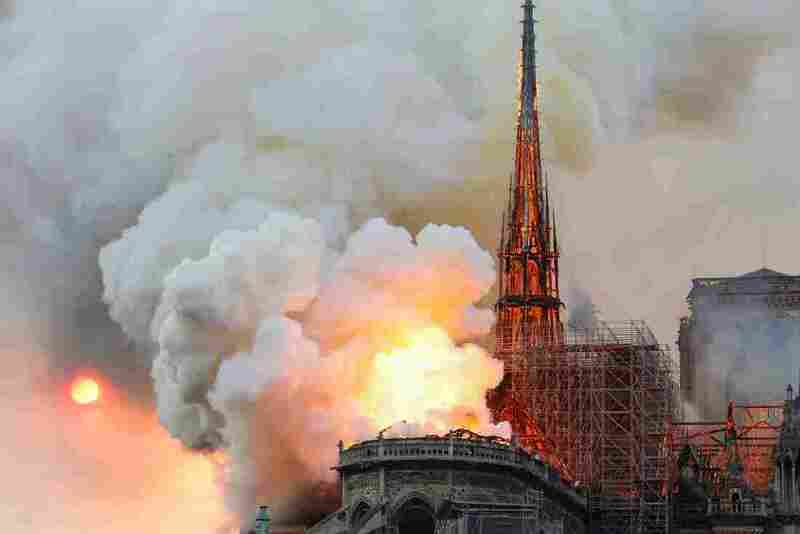 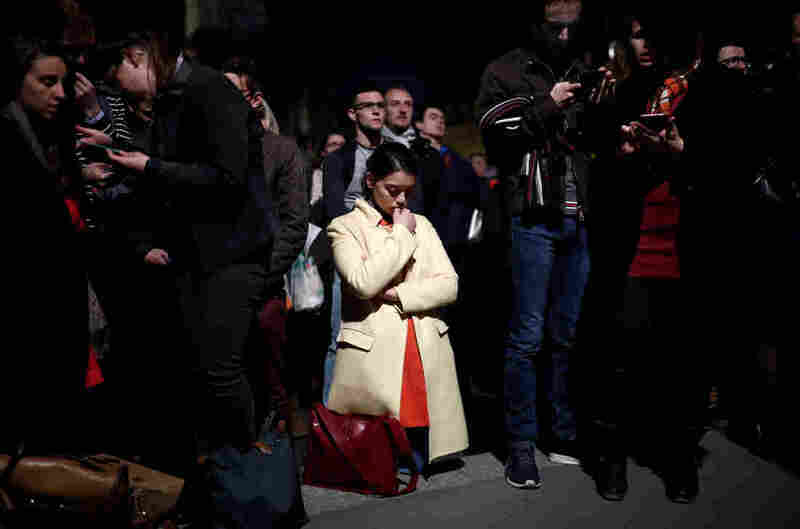 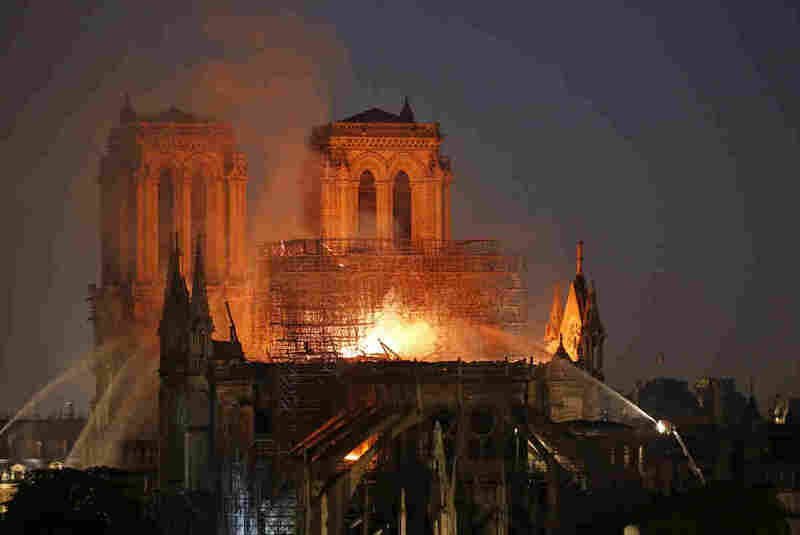 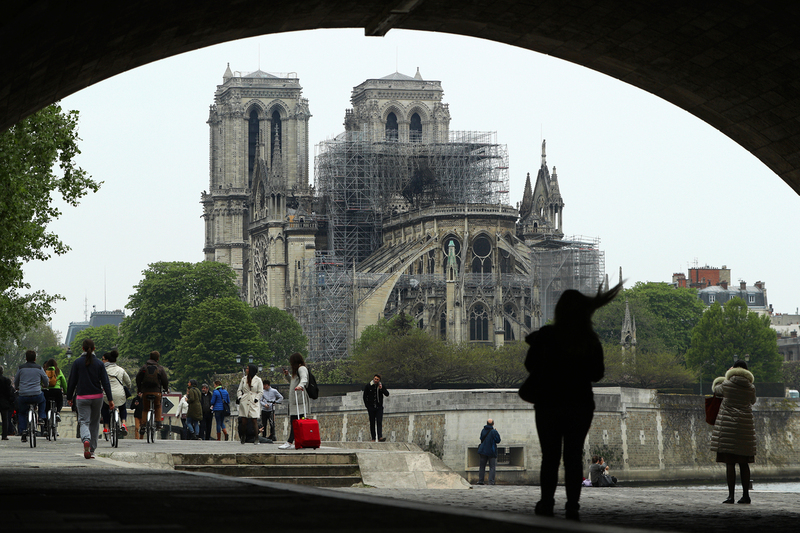 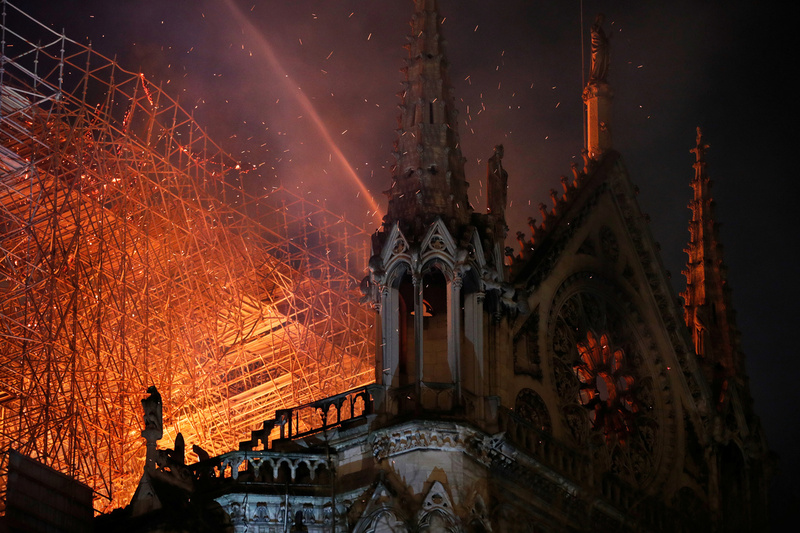 In Paris: Notre Dame Cathedral Spire Falls In Flames But Towers Saved The building burned for hours on Monday, with smoke billowing into the sky. 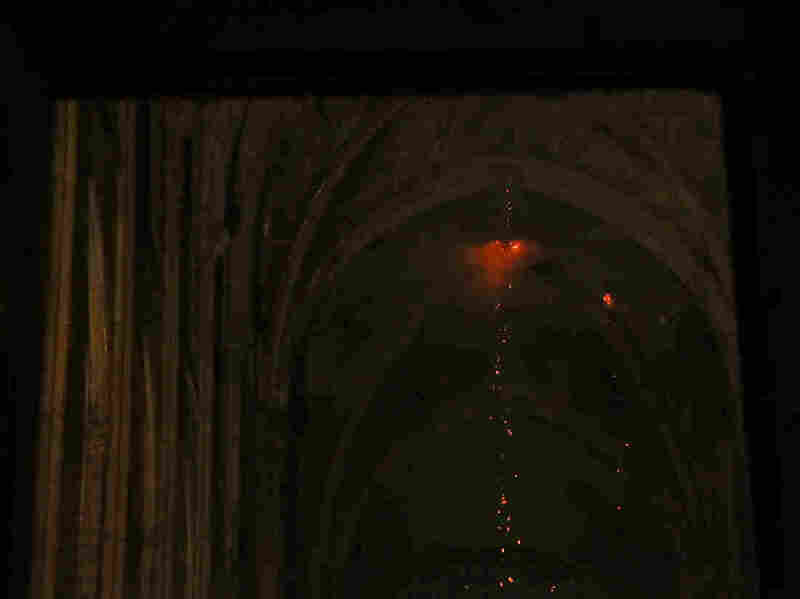 The cause of the cathedral's blaze was not immediately known, but the initial investigation points to an accident. 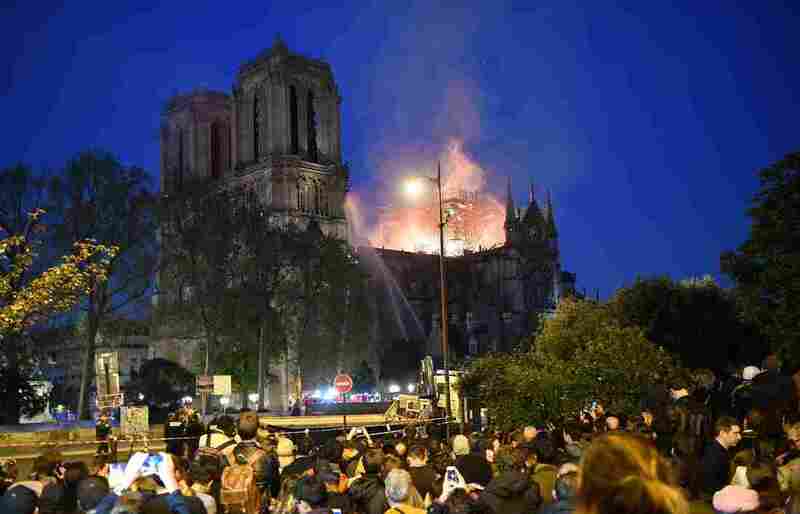 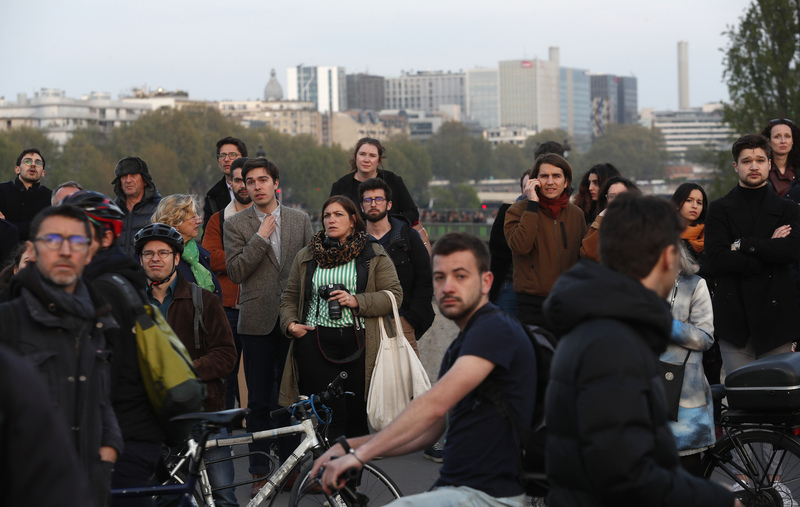 People watch as flames and smoke rise from Notre Dame on Monday. 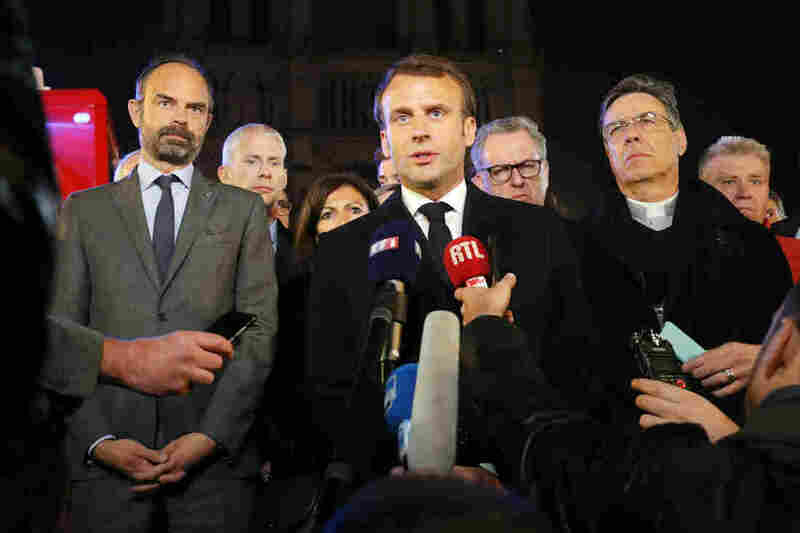 Macron canceled an address to the nation that was planned. "Notre-Dame de Paris is in flames," he tweeted.